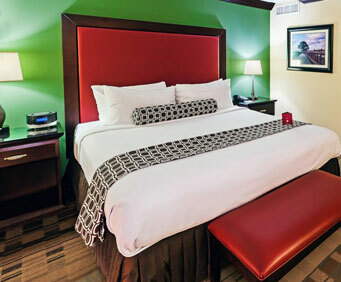 With so many hotels and suites offered in the Houston area, the best is easy to recognize. 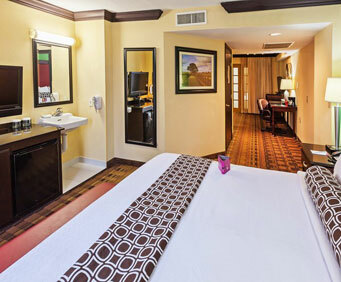 Crowne Plaza Suites Houston Southwest is your go-to accommodations service whenever planning a trip to Houston. With Chinatown a mere two miles away, guests can enjoy bars, restaurants, and other activities that are based on the Chinatown culture. Not only that, but other in hotel amenities include a full-service weight and fitness room, with numerous other pieces of equipment such as treadmills and ellipticals. There are also golf courts near the hotel itself. Every room at the Crowne Plaza is a two-room suite, offering space for an entire family. With exceptional quality linens and towels, beautiful furnishings and decor, top-of-the-line electronics and WiFi, and comfort from front to back, rooms also offer all the little luxuries: coffee pot, extended television channels, room service, and numerous other perks to perfect your sleeping experience. Included in in-room amenities are either 1 or 2 queen beds, a large desk and work space, newspaper delivery, multiple outlets for device charging, and many, many other advantages that will grab and hold the guests attention. When it is time for checking out the city, enjoy karaoke at the nearby Chinatown, which also offers various types of cuisine done with many different techniques, an array of bars and clubs that lure one to enjoy the local nightlife, and the Crowne is also situated in an area rich with shopping and other activities. 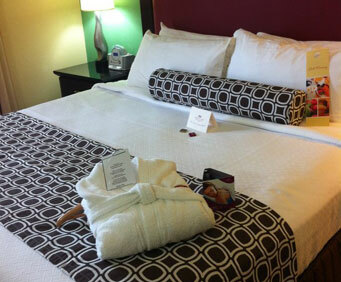 In conclusion, the Crowne Plaza is everything you could ask for in a room or suite. Pick up the phone and make a reservation today! We look forward to hosting your out-of-town experience.